Hands down, todays' polish is not a novum on the nail polish market and during last autumn and winter season we have seen just about every nail polish brand releasing a gold foil effect Top Coat. Some come with real gold snippets, other go for synthetic ones. 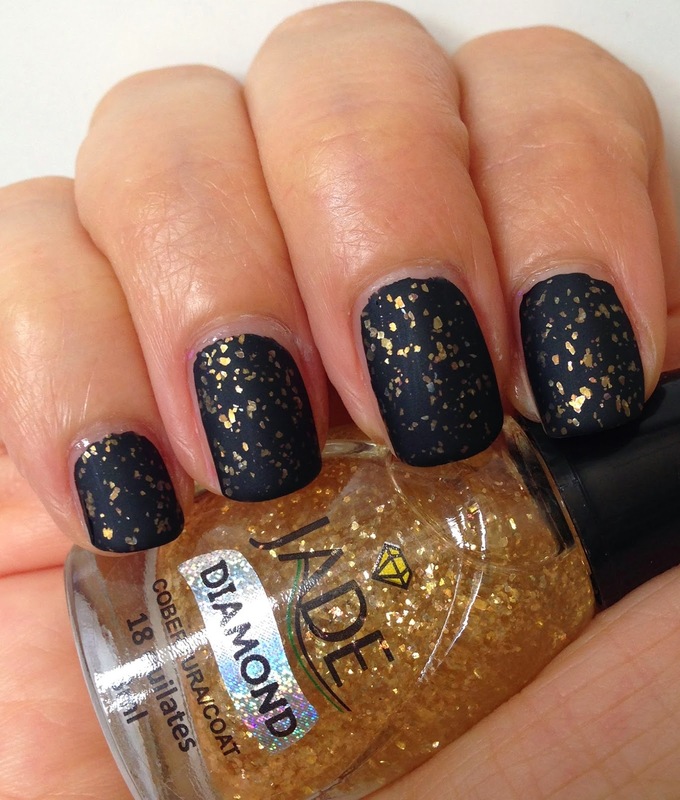 And truth being told, I have tried my fair share of them but until today I haven't come across one so perfectly composed gold leaves effect Top Coat like Jade Diamond Top Coat 18 Quilates! 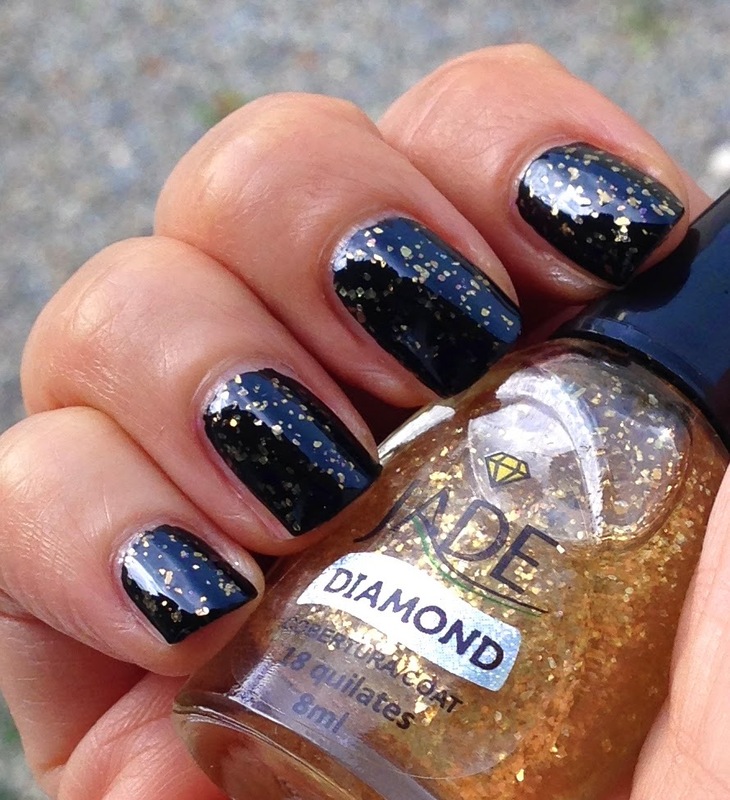 I applied one coat of Jade Diamond Top Coat 18 Quilates over one coat of Cult Nails Nevermore. The formula again was perfection. As to be expected with such Effect Top Coats the consistency is slightly thicker due to the amount of golden leaves floating in the clear base. I found that giving the bottle a firm shake before painting helps in getting the perfect amount of snippets on the brush. They spread wonderful on the nails leaving the surface smooth and shiny. I cannot say a thing about the dry time as I swatched Jade Diamond 18 Quilates when we had about 34 Degrees Celsius and at those temperatures polishes behave not at their best. 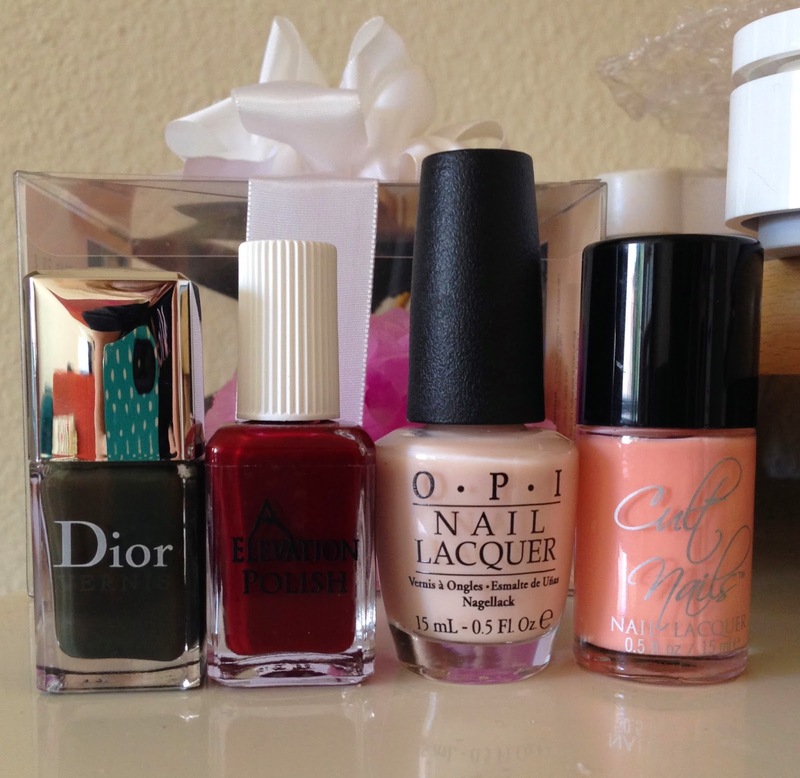 The contestants lined up from left: Dior Amazonia, Elevation Polish Volcanic Dust, Opi Bubble Bath, Cult Nails It's A New Day. 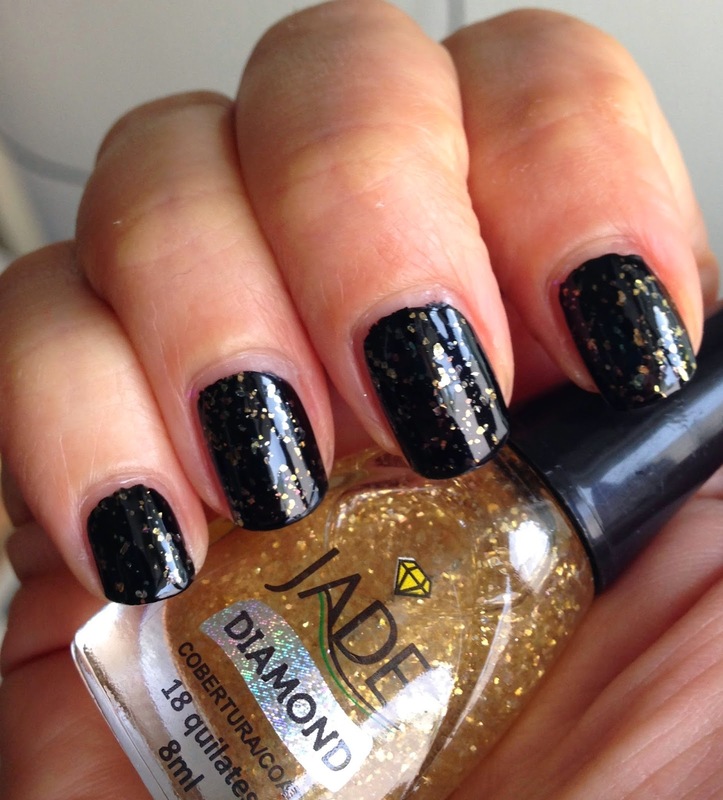 Final thoughts: I love the versatility of Jade Diamond 18 Quilates, not to mention the easiness of application, a great gadget to give your mani a twist!!! I look forward to reading your comments - thanks for stopping by!!! I absolutely love the matte version! Looks so great matte over black!